Mainsail conducted the Bootstrapped Sentiment Survey for the 6th consecutive year at the end of 2016*. 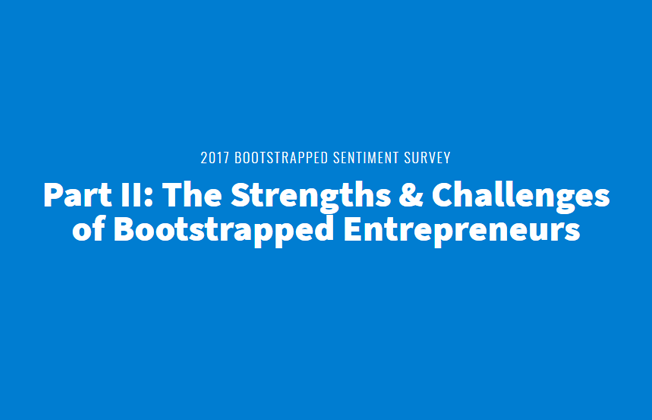 Each year the survey provides insights into the sentiment of bootstrapped entrepreneurs on a number of topics, including the U.S. economy, momentum of their own businesses, and the most important areas of investment in their companies. This year Mainsail surveyed entrepreneurs on the increasingly important topic of Customer Success. Bootstrapped companies are more focused than ever on retaining and better monetizing their existing customer base, and this year our survey delves into a series of questions to better understand how companies have structured their organizations and the metrics they track to support these goals. Mainsail has been conducting the Bootstrapped Sentiment Survey since 2011, which covers a dynamic timeframe during which companies recovered from the recession, unemployment decreased dramatically, interest rates remained at historic lows, and the first new President in eight years was elected (this year’s survey was taken just after the 2016 election). The results of the survey provide a unique perspective into the shift in confidence bootstrapped entrepreneurs have expressed in the economy and their own businesses during this period. Why is this important? This segment of business owners is uniquely focused on growth and profitability, and therefore can serve as an early indicator of trends in the broader market. better or worse next year? After a dip in bullish sentiment in 2015, optimism among bootstrapped entrepreneurs returned this year, seeing the largest ever year-over-year increase in those that felt the economy would be “better” in the coming year (2017) than in the previous year (increasing to 56% from 43% in 2015 ). It is worth noting that the survey was conducted in December 2016, just after the election and in the midst of a strong rally in equity markets. In line with the more sanguine sentiment on the overall economy, the percentage of respondents who believe their businesses will grow more quickly in the coming year also bounced back, albeit slightly, from the previous year’s decrease (up to 77% from 75%). In the six years Mainsail has been conducting the survey, seldom have entrepreneurs wavered in their bullish outlook on their own businesses. for your business in 2017? Product Development still #1. Each year, Mainsail asks entrepreneurs to name their top priorities for investing in their businesses in the coming year, and in five out of six years, the number one response has been “Product Development” (increasing to 59% in 2016 from 56% in 2015). Successful bootstrapped companies inherently have strong, market-validated products, which drives organic growth. Interestingly, the percentage of those who see “Product Innovation” as a challenge is relatively low at 11%, indicating a high level of confidence in business owners’ ability to execute in this critical area with the right level of investment. Sales and marketing on top again. Each year, Mainsail asks entrepreneurs to highlight the biggest challenges they face heading into the new year. Nearly 58% of respondents selected “Sales and Marketing Execution” as one of their top challenges with the next highest response being “Finding Good People to Hire” at 49%. It’s not surprising that companies with strong products, but limited capital, would rank sales and marketing high on the list of challenges they face in the next stage of growth. This is consistent with the experience Mainsail has had investing in bootstrapped companies. Creating a repeatable and scalable sales and marketing process is the single greatest area of opportunity at most companies that have funded their own growth. 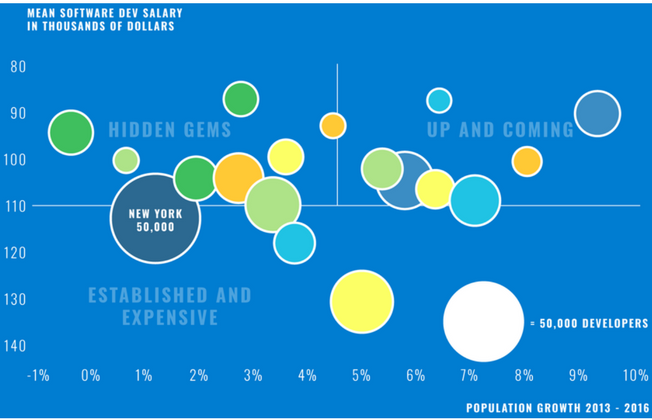 Need for good hires comes back strong. As one would expect in an expansionary business environment, “Finding Good People to Hire” is high on the list of challenges that entrepreneurs expect to face. After a drop in 2015, the percentage of entrepreneurs citing hiring good people as a challenge rose to 49% from 44% the previous year. This reversion highlights the importance of hiring good people as a universal key for success and the challenge of a market that has favored job seekers for the past several years. This hiring challenge is poised to continue as the percentage of respondents saying that they are going to hire more people than in the previous year rose to the second highest level since Mainsail has been conducting the survey. next year than you did this year? More favorable business environment? Mainsail first introduced the following question into our survey in 2012 – “What do you expect to be the biggest challenge(s) for growing your business?”. This was at the height of the implementation of new set of regulations as a result of the financial crisis, and just after the Affordable Care Act was signed into law. One of the more consistent trends in survey responses in the last five years has been a decline in concern around government regulations and increased expenses associated with running a business. The percentage of entrepreneurs citing “Increased Regulations” as a top challenge has declined from 19% in 2012 to 5% in 2016 while “Increased Expenses” saw a decline from 26% in 2012 to 11% in 2016. Moreover, in this year’s survey, we asked respondents to describe the impact the presidential election would have on their plans to invest in their business in the coming year. While the majority of respondents (70%) indicate the outcome of the election did not change their plans to invest in their business, the outlook of those who said it did change their plans was relatively bullish. Twenty-three percent indicated they will invest more back into their business than they’d planned to before the election, compared to 10% in the survey conducted immediately following the 2012 presidential election. And the corollary, only 7% said that they would invest less in their business from what they’d planned to prior to this election (down from 20% in 2012). election results on your plans to invest in your business? Each year, the survey takes a deeper dive into a specific category that Mainsail has identified as an area of importance for bootstrapped companies. This year, the survey included several questions related to customer success—a crucial function for recurring revenue companies. Most companies with recurring revenue appreciate the importance of effectively onboarding new customers, maintaining high customer satisfaction scores, growing revenue from their existing customer base, and managing churn. The question is, have they invested appropriately in a customer success organization to support these goals? This section attempts to provide insight into that question by looking specifically at companies reporting that at least 60% of their revenue was recurring or subscription-based. Churn has room to improve. Managing churn is an area where respondents have room to improve; only 24% of companies surveyed have a specialized Head of Customer Success to manage it. In the majority of companies that do have a Head of Customer Success, that person’s compensation is tied to churn more often than not. When it comes to companies that have hired a dedicated Customer Success person to manage churn, Fintech and SaaS companies are leading the way (32% and 29% respectively), with the practice fairly uncommon at Healthcare Technology companies (8%). Companies that don’t have a Head of Customer Success most commonly run churn through the CEO or a Head of Customer Service. These organizational work-arounds become less common as companies scale. Companies with more than 20 FTEs are more than twice as likely to have a Head of Customer Success to handle churn. Responsibility for upsells and renewals varies. 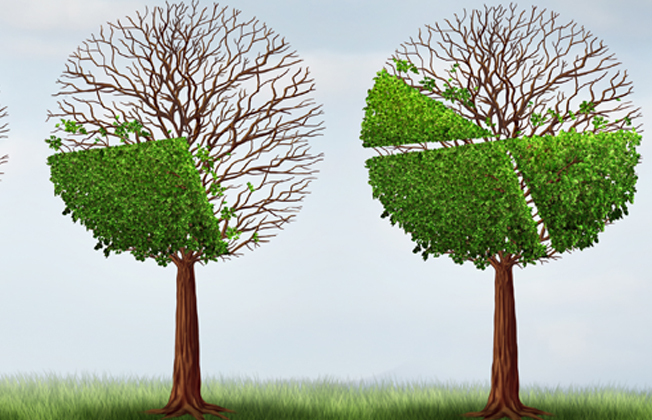 Renewals are most often handled by Account Management or Customer Success. Upsell opportunities are most often owned by sales teams. In fact, 12% of companies surveyed have part of their sales team dedicated to upsells. These trends held across industries, with the exception of tech-enabled services, where the account team more often managed both upsells and renewals. These trends make sense given broader customer success approaches. It’s common for a customer success team to own renewals. For upsells it varies more depending upon the sales process; Customer Success can be an efficient manager of upsells if the upsell entails selling more of the same product and the team doesn’t have to run a new sales cycle. Who is responsible for renewals and upsells? Longer onboarding periods correlated with less churn. Respondents reported that onboarding times varied from less than a week to more than 6 months, with a majority falling between one week and two months. Healthcare and tech-enabled services tended to have longer onboarding times; SaaS and Fintech companies tended to onboard more quickly. The results of the survey indicated that on average, companies with higher proportions of recurring revenue onboarded customers faster. The weighted average onboarding time for companies with 61-80%, 81-99% and 100% recurring revenue were 6.7 weeks, 5.7 weeks, and 3.3 weeks respectively. It’s possible this correlated trend is due to companies with more complex products charging one-time upfront fees to support complicated, lengthier implementations. Thus the inverse correlation between percentage of recurring revenue and onboarding times. While faster onboarding is a resource-saving advantage, the survey results suggest that products requiring longer onboarding processes may be sticker. Companies with onboarding periods of over three months were half as likely to report churn over 5%. Customer Success tracking could be better. Eighty-two percent of respondents track customer satisfaction, and on average, respondents used 1.8 different methods for tracking customer satisfaction. Still, less than 30% capture data on how customers are using their product, the best source of data for predicting churn. Less than 15% take measures such as creating a health score to prioritize which customers are at greatest risk of churn or tracking customer sentiment through a Net Promoter Score (NPS). Eighty-seven percent of respondents use at least one technology product for Customer Success. Google Analytics and Salesforce are most common, with companies using an average of 1.6 technology products each. About 12% of respondents use ZenDesk, a reactive solution for customer service, but almost none use technologies such as Intercom, WalkMe, Gainsight, and Totango. These products represent the cutting edge of customer success—a proactive approach to retaining and growing customers. The signals are clear that bootstrapped entrepreneurs are once again relatively bullish on the economy in general and very positive on the prospects for their own businesses in the coming year. Product development continues to be at the forefront of business owners’ investment priorities with customer success moving up on the radar of entrepreneurs. While customer success increased in the rank of priorities, it remains low relative to other priorities. Judging from the data there appears to be some room for leadership teams to address this area of opportunity with further investment in dedicated personnel and technology to proactively manage customer satisfaction and churn. Sales and marketing remained the top challenge, while “Hiring Good People” rebounded as a cited challenge after pulling back at the end 2015. Finally, concern related to regulatory issues and healthcare expenses fell to an all-time low since we began surveying on these topics in 2012. Overall, as always, entrepreneurs remain extremely optimistic about their success in the coming year – as do we. We hope you found this valuable and look forward to continuing to provide you with this unique perspective on the outlook of entrepreneurs who have built their businesses by bootstrapping. The survey was conducted between November 17 – December 8, 2016 and resulted in 447 completed responses. This is the sixth annual Mainsail survey and is intended to help us continue to understand the needs and perspectives of companies that Mainsail invests in and helps to grow. The survey was conducted via an online survey sent to entrepreneurs and senior executives at U.S.-based companies. For the purposes of this survey, “bootstrapped companies” are defined as businesses which have taken no previous capital from venture capital firms, private equity firms, or other institutional investors. Qualification as a bootstrapped company was verified through prior conversations or in some cases via a qualifying question. Mainsail Partners is a growth equity firm focused on investing in growing, bootstrapped businesses with an emphasis on software, technology-enabled services and healthcare. Our firm has a team of experienced operating professionals to help entrepreneurs scale their organization and overcome many of the challenges outlined in this report. The statements contained herein that are not historical facts are forward-looking statements. The forward-looking statements are based on current expectations, beliefs, assumptions, estimates, and projections about the industry and markets. Forward-looking statements contained herein are not guarantees of future performance and involve certain risks, uncertainties, and assumptions that are difficult to predict. Therefore, actual outcomes and results may differ materially from what is expressed or forecasted in such forward-looking statements. Mainsail Partners is under no obligation, and does not intend, to update any forward-looking statements to reflect changes in the underlying assumptions or factors, new information, future events, or other changes.